How to apply cash register access right ? This right is for cash register access. Log in with your store. 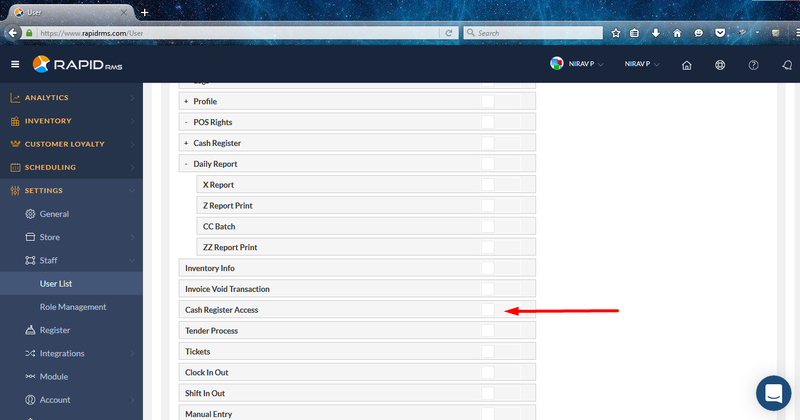 Setting -> staff -> user list -> open user in edit mode -> open user rights tab -> POS rights -> cash register access. If this right is enable then in IOS application cash register module is allow to open and go further process. If cash register right is disable then cash register module is not allow to open for that user. 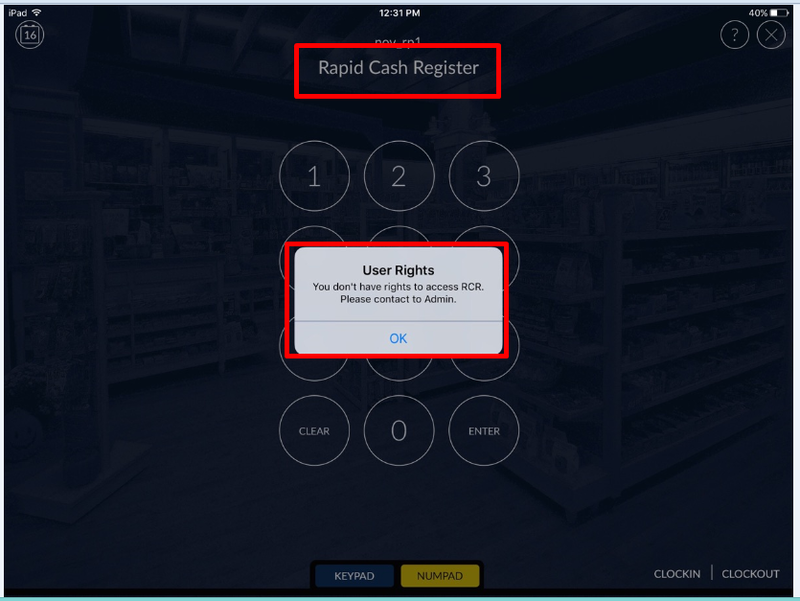 Now open application in IPAD cash register module is restricted.